There are some people like my wife, who live solely because there is a treat called ice cream in this world. Recently during our visit to Ahmedabad, which could easily be described as the ice cream capital of India, I was amazed to see the craze for ice-cream – of every shape, colour and flavour. It was even more amazing to think that ice creams – as we know it today – arrived here just a century back! Cold desserts in many avatars are known to mankind for a long time. Ancient Babylonians, Romans and Chinese used to pour fruit juices over crushed ice. The process of cooling a mixture using salt petre, to make something akin to ice-cream was discovered in China. The Arabs perfected the recipe of flavouring milk with dry fruits, cinnamon etc and then cooling it at freezing point using salt petre. By tenth century, such ice creams - actually more like Kulfis - were sold in all major cities in the Arab world. Western tradition says Marco Polo brought ice cream to Italy from China – like many other legends associated with Marco Polo – this one is also doubtful. The French learned the secret of flavoured ice - Sorbet - in the early 16th century when Catherine de Medici married Duke of Orleans and brought Italian chefs with her. By the end of the 16th century, flavoured ice was a much-preferred royal treat in Europe. In the 18th century, we come across the recipe of modern ice-cream for the first time. Availability of ice in summers through import from Scandinavia and prosperity of Victorian Britain helped in experimentation. Still the difficulty of large scale production and refrigeration restricted the appeal of ice creams. In Britain Carlo Gatti opened a shop selling ice cream outside Charing Cross station in 1851. Several manufacturers started selling ice creams from their shops or carts making it available to general public for the first time. But the lady, who changed the complexion of the industry in Britain, was Agnes Marshall. 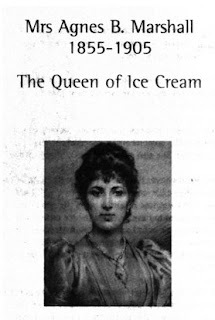 Mrs Marshall, who wrote four famous recipe books dedicated to ice creams, came up with a portable hand-cranked machine to make ice-cream easily. She is also credited with the idea of serving ice-creams in edible cones. Apart from selling ice-creams, she also started selling machinery for ice-cream making. Mrs Marshall for the first time came up with the idea of using liquid nitrogen to make ice cream (the idea came to her after attending a lecture at Royal Society). When she died in 1905, rights of her recipes were bought by famous Mrs Beeton and thus, it became part of the most famous recipe book in British culinary history. Of course, the Americans believe they invented true ice cream. Quakers introduced flavoured ice treats in the New World. 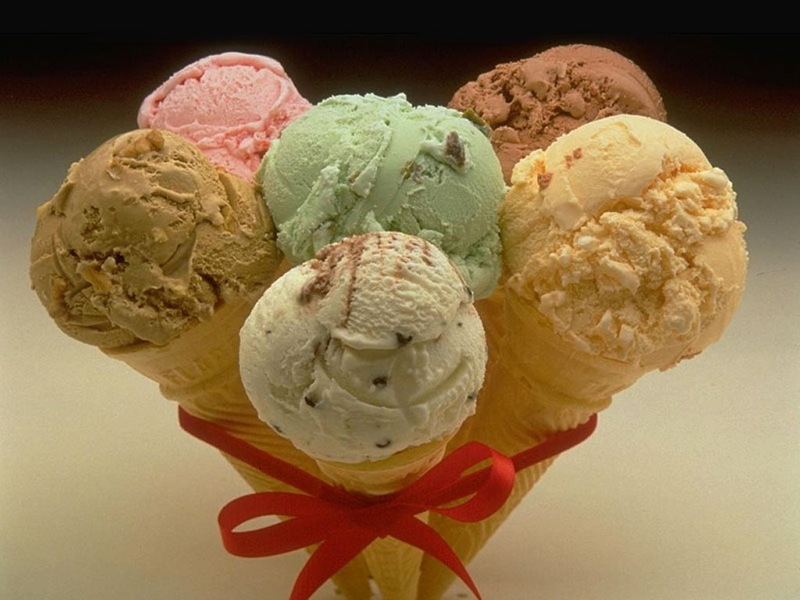 Leaders like Washington, Jefferson, Franklin regularly used to enjoy ice creams. In 1843, Nancy Johnson of Philadelphia was issued a patent for a hand-cranked ice-cream maker. Throughout 19th and 20th century, a whole range of innovations in ice-cream right from sundae to banana split to dots took place in the states, not to mention top brands like Ben & Jerry or Haagen-Dazs. Improvement in refrigeration technology from 1870s is the single most important factor, which made ice-cream accessible to all. In September 1833, an American ship named Tuscany arrived in Calcutta. The most unusual cargo carried by this ship ensured a rousing reception. Tuscany brought ice blocks from lakes near Boston. This is for the first time shipment of pure ice reached India. Since that first arrival, every time an ice ship landed in Calcutta for next 50 years, its arrival sparked off spontaneous celebration in Calcutta’s White town. The crew in 1833 was presented with a silver cup by Governor General William Bentinck and the owner was instantly granted a monopoly of ice trade in Calcutta, Bombay and Madras. Ice was declared a duty-free good and Calcuttans pooled their own resources to build a modern ice house close to the river. Similar ice houses came up in Bombay and Madras too. Madras is the only place out of these three cities, where the original ice house still stands – Swami Vivekananda once stayed here and in his memory this building located right on the sea beach has now been converted into a museum. The man behind this unusual venture was a Boston businessman, Frederic Tudor. He had earlier exported ice to some places in the USA and nearby tropical islands but the business failed miserably. 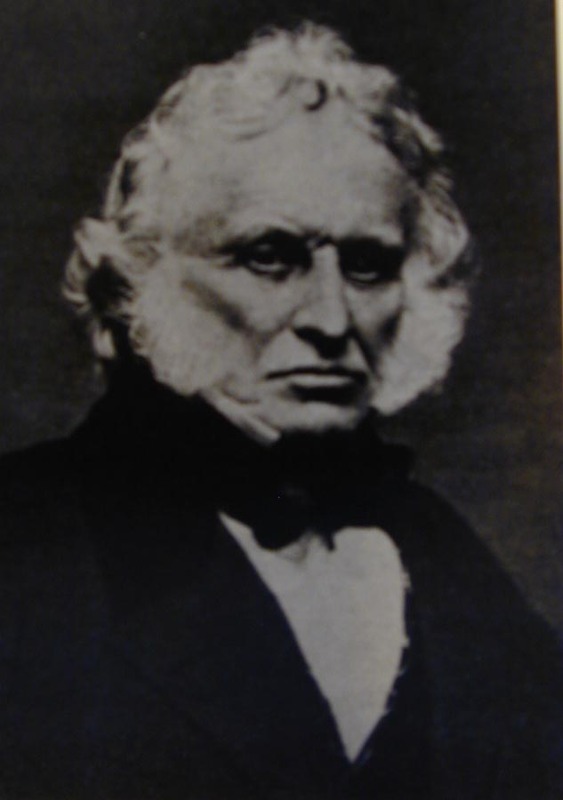 He was persuaded to send ice to Calcutta by another businessman, who was eager to import tea and other stuff from Asia but had to send an empty ship every time. Ice trade was fairly common in Europe. It may be difficult to believe today but till around 1950s, Britain used to regularly import ice from the Scandinavian countries. In fact one can still see remnants of underground icehouses almost all over the continent, where large blocks of ice used to be stored for use in summer. But sending ice from Boston to Calcutta was an altogether different matter. Tudor came up with significant innovations to ensure that a large part of his cargo survives nearly 5 month long sea voyage. He decided to cut ice in rectangular blocks of equal size and then pack them so closely that air could not pass through them, he designed special insulation chambers and covered ice blocks with pine dust, which was a bad conductor of heat but fragrant. This way Tudor managed to keep a large part of his cargo intact throughout this long journey. Till Tuscany arrived in Calcutta, the only thing close to ice was Hooghly slush – they used to store boiled water in earthenware on riverbank and the cooling effect used to produce thin films of ice. It is generally believed that the Mughals brought Kulfi to India. Kulfi was frozen by using salt petre. Was Kulfi a commonly available treat in those days? Unfortunately I could not find any reference to that. Abul Fazl has mentioned in the Ain-i-Akbari that everyday a boat laden with 10-12 blocks of ice used to arrive at Lahore from the hills for Akbar. Perhaps there was a similar system to bring ice to Agra or Delhi as well. Till well into the 19th century, rich households used to have special servants, known as aubdars - it was their responsibility to ensure that drinks are stored properly and served chillled. Their normal practice used to be cooling down water using sal petre and then wrap bottles with wet clothes. For around fifty years from 1833 ice trade was a thriving business. Tudor, who was neck deep in debt in 1833, died a multi-millionaire. In 1879, Bengal Ice Company established the first plant in India to produce artificial ice – very quickly artificial ice business spread to other cities and towns, particularly to upper India. Soon, every town came to have a Barfkal of their own. Modern ice creams became available in Indian cities – particularly at hotels and clubs - at the turn of the century. In the 1930s, ice creams were no longer a novelty for upper class children in metro cities like Calcutta and Bombay. Today un-branded push carts of our childhood have yielded to ice-cream parlours and multinational brands launch Indian flavours, prominently displaying a green dot!